After meeting with Metro Mayor over Merseyrail dispute fails to make progress RMT asks "which side are you on?" RAIL UNION RMT has today thrown out the question to Labour politicians across Merseyside “Which side are you on?”, after talks with Metro Mayor Steve Rotheram and Merseytravel officials failed to make any progress in advance of the next three day phase of strike action in the guards’ dispute which kicks off on Friday. RMT officials, led by General Secretary Mick Cash, met with Steve Rotheram along with Merseytravel officials Liam Robinson and Frank Rogers yesterday. The union has said that it is bitterly disappointed that the talks failed to make any progress as it was confirmed in stark terms that the axing of guards on Merseyrail is entirely finance led at a time when the private rail operator is awash with cash. “RMT is bitterly disappointed that our efforts to make progress towards a resolution of the Merseyrail guards’ and safety dispute have been blocked off once again and as a result the action on Friday, Sunday and Monday goes ahead as planned. “It was made clear to us that the reason for axing the safety-critical guards on Merseyrail trains is entirely cash led. At a time when this company is trousering £16 million in profits from passengers on Merseyside it is disgraceful that they cannot find the £5 million that it would cost to keep the guards on the trains, keep the public safe and maintain disabled access to these lifeline services. “The question that RMT is throwing out to politicians across Merseyside is “Which side are you on?” – the side of the safety-critical guards and the public that they protect or the side of the greedy private train operators who are making a killing at the passengers expense? “Labour nationally has set out a clear policy of opposing the great privatised rail rip-off and the profit-led extension of Driver Only Operation. 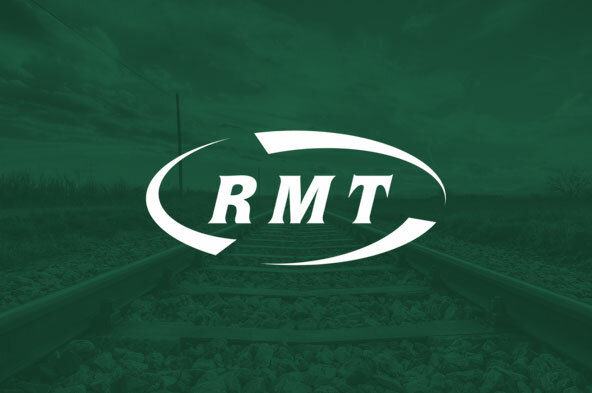 RMT has had fantastic support from a large number of Labour MP’s, Councillors and local parties on Merseyside for our current campaign to keep the guards on our trains and we intend to build on that as we step up the pressure.